Another Wednesday, another San Francisco Selenium Meetup. It’s been ages since I’ve hit two Selenium meetups in a row, so my thanks for holding them on Wednesday nights lately. Our intrepid flock of fellow nerds has gathered at Eventbrite, which is just a couple of blocks from Caltrain (yay!) and they’ve brought in bahn-mi sandwiches of a dizzying variety, beer, soda and water a plenty, and there’s a standing room only crowd. 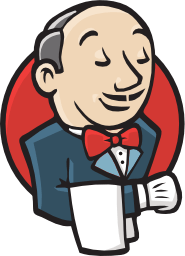 Tonight, we are learning about how to use Selenium (webDriver) with Jenkins, which is a Continuous Integration server I’ve wanted to play with for some time. Jenkins Creator Kohsuke Kawaguchi gave a fast paced presentation and demo of Jenkins and how it can interact with the Selenium Grid. He also shared some frustrations and some requests for how selenium could be extended, such as not having to programmatically create the URL, allow for easier proxy settings, and a native report generator (output can be captured with code hacks already, but having a native report formatter would be a sweet addition). Selenium’s creator, Jason Huggins, sporting a very hipster beard these days, showed off his robot called Bitbeam. Now maybe the idea of a robot doesn’t seem all that interesting, but how about a robot that can play Angry Birds? Well, that’s what Bitbeam does. It uses an actuator to act as a finger, and that finger gets lowered onto a table, and that actuator actually fires Angry Birds at targets (quite well, I might add 🙂 ). You can check out the back story of the robot at bitbeam.org. The sub-title of the talk was “How Robots are the Future of Testing”. The idea is that the robot could potentially be used to automate testing on smart phones or tablets. It’s an intriguing idea to do location type tests. It’s automated “manual” testing taken to a whole new level. Theo Cincott and John Shuping, both engineers with Eventbrite, took the last spot to show off specifically how they are using Jenkins and Selenium in their production environment. Eventbrite deploys each week, which makes sense considering their market (they sell tickets to events, so they need to update regularly). They also do daily bug fix releases. In Eventbrite’s environment, Jenkins is the central hub of their builds, their firing off for tests (unit and Selenium) then to their production systems and the rest of the world. So often we hear people talk about how they do this stuff with little in the way of actual details. This talk shared the flow and the challenges they face when they are doing their deployments. Too much to type here, but I’m sure the slides will be posted soon :).